Invitation of the Spring Canton Fair From Haipengda Toys! 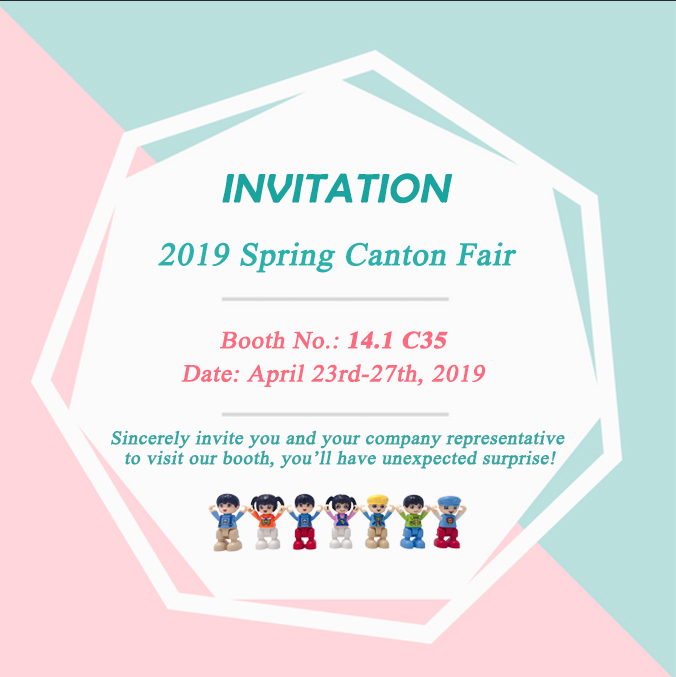 We sincerely invite you to attend and visit us at the Spring Canton Fair from Apr.23rd-27th, 2019. We're one of the manufacturers and trading companies specialized in educational toys, such as building block toys and Snowflake Toys. It would be a great pleasure to meet you at the exhibition. Sincerely invite you and your company representative to visit our booth, you'll have unexpected surprise! Previous: We are at 2019 Spring Canton Fair Next: Happy International Women's Day!